This Wednesday, Nov. 7th at 7:00pm is our monthly meeting held at the Milhopper Branch Library in Meeting Room A. Trust me… you will NOT want to miss! I’ve received a box of quilty goodies from The Warm Company and will be giving out some amazing stuff as door prizes. 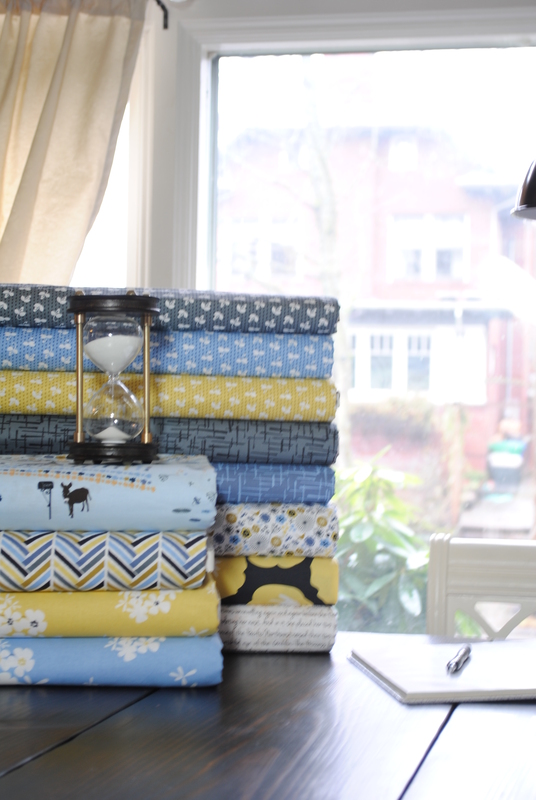 I will also have information on the next Modern Quilt Guild – Winter 2012 challenge! I’ve signed our guild up and will let you know the details at the meeting. You can read more about the designer and the fabrics we will be using HERE. Madrona Road by Violet Craft for Michael Miller. What to bring: As usual be sure to bring your latest quilty projects for show-and-tell. Also, if you have holiday projects you would like to bring and work on during the meeting feel free to do so. Just be sure you bring an extension cord to make sure your table will have access to an electrical outlet.